So I was browsing Pinterest *gasp* (who does that, right? No one simply browses, but gets lost for hours in the see of interests.) Well, like I was saying, I was browsing, and I came across a recipe for making your own creamer. Since I got a Keurig for Christmas and have been drinking more coffee, I decided to give it a go. I found the recipe here. Being the bland, boring person I am, I decided to go for the French Vanilla flavor. 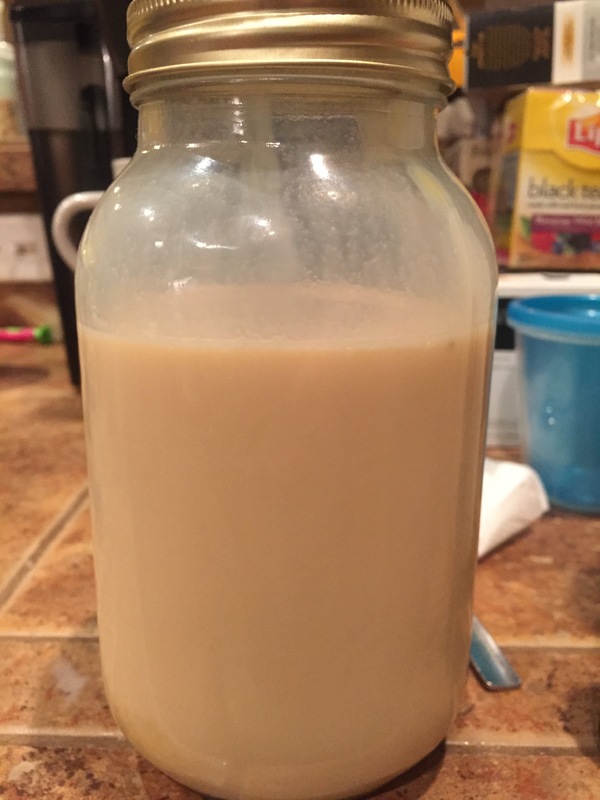 I had some sweetened condensed milk in the pantry, some vanilla in the cupboaard, and Hubster had just picked up a half gallon of milk at the store. I also had some mason jars just itching to be used. 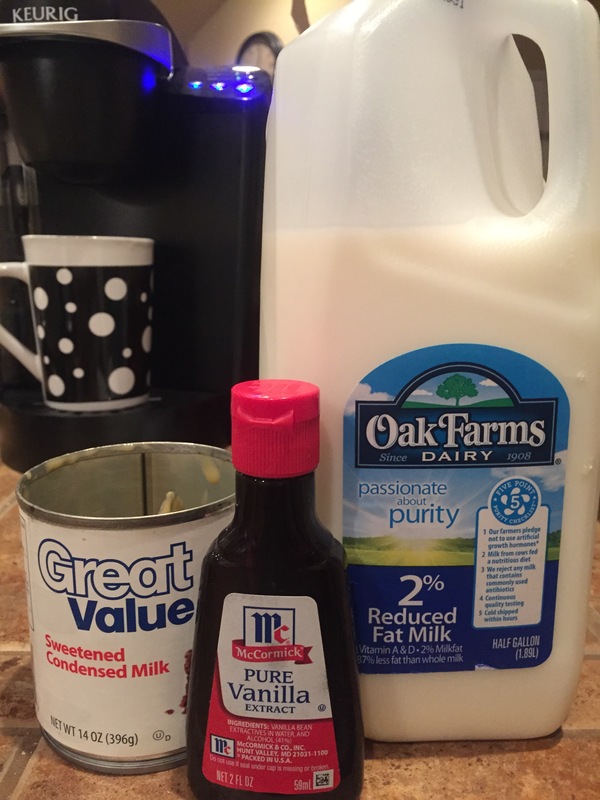 The recipe called for one can of sweetened condensed milk, milk and flavoring. Here’s what I used. I poured all the ingredients into the mason jar and shook it up. Once it was all melded together, I decided to try it out in a cup of Pike’s Place Medium Roast. I have to say that this creamer disappointed. In the medium roast, I barely found any vanilla flavor. I decided to try it in a Donut Place Light Roast to see if the roast type would change how much of the flavor I was able to sense. There was a slight vanilla flavor with the light roast, but not an exorbitant amount. I have to say that I like the flavor that comes from a more concentrated, commercial creamer. I’m not counting this recipe out, though. I may try it again, but next time use a more commercial grade flavoring to make it stronger. There are several suggestions to make it creamier or different flavorings. What have you tried off Pinterest? Has it been a win or a bust?